You are here: Home / Cosmetic Dermatology & Procedures / Platelet-Rich Plasma: What is All the Bloody Fuss About? Platelet-Rich Plasma is not a brand new procedure, but you may have been hearing a lot about it recently. Media and Hollywood stars get paid a great deal of money to sensationalize the latest and greatest anti-aging treatments. Surgeons routinely use PRP during joint replacements and reconstruction as the growth factors decrease healing time and regrow healthier, stronger tissue. In Dermatology we use it for skin rejuvenation combined with micro-needling and there is strong evidence that PRP injected directly into the scalp can help reduce hair loss. What is it Platelet-Rich Plasma (PRP)? PRP is in your blood, (which is why there is no risk of allergic reaction or rejection), and is jam-packed with essential growth factors and signaling proteins that promote collagen production and healing. 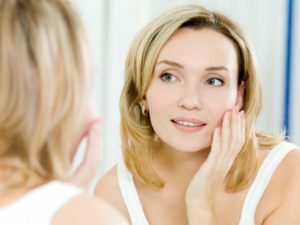 PRP has been shown to have overall rejuvenating effects on the skin such as improving skin texture, fine lines and wrinkles, increased volume, increased collagen and elastin. Results are visible at 3-4 weeks and improvement will continue for 3-6 months. centrifuge. This separates the red blood cells from the plasma. The PRP will be extracted from the blood sample than used during the Microneedling treatment as a lubricant for the device but more importantly, will be infused into the skin as it is needed. Microneedling alone will increase your collagen production by 200%– when we include PRP, collagen production increases 1000% !!! Doctors have discovered new benefits for hair thickening and regrowth. 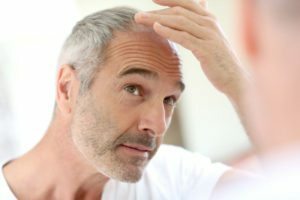 According to The National Institutes of Health, PRP has shown to have remarkable beneficial effects on those with alopecia and other forms of hair loss with no adverse reactions. PRP has the ability to increase the blood supply to the follicle, increase thickness, trigger the growth phase and decrease hair loss. A tube of blood will be drawn from your arm and spun in a centrifuge. Instead of Microneedling the scalp, Dr. Soine will use a small needle to inject the PRP directly into the areas of the scalp that need improvement. Multiple treatments are necessary. Schedule a consult today to see what all the bloody fuss is about for yourself! « What is Molluscum Contagiosm?